We hope you’ve got your seat time early because this weekend we’re goin’ racing! There will be no open practice this Sunday, but be sure to come out and join us Saturday for the inaugural Groundshakers & Western Raceway Groundbreaking Grand Prix. Did you capture any great video or photos riding the track this weekend? If so, we’d love to see them. We need photos and ESPECIALLY need helmet cam video of the tracks for our website. Please message us or email info@westernraceway.com if you can help. Email is limited to a maximum of 20mb total file size, but if you contact us we can make arrangements for you to share large video with us via Google drive, drop box, etc. We can’t wait to see your best vids and pics! I’d like to welcome everyone to Western Raceway Motorsports Ranch. We are conveniently located 30 miles from the Hoover Dam between Las Vegas, Nevada and Kingman, Arizona, just 2 miles off Highway US-93. It started out with a blank 80 acre bare piece of property. Over the last year or so, with the help of many, this blank slate has turned into 4 tracks…. So far! We currently have a Main MX track, Vet track, Pee Wee track, and a SXS track!! 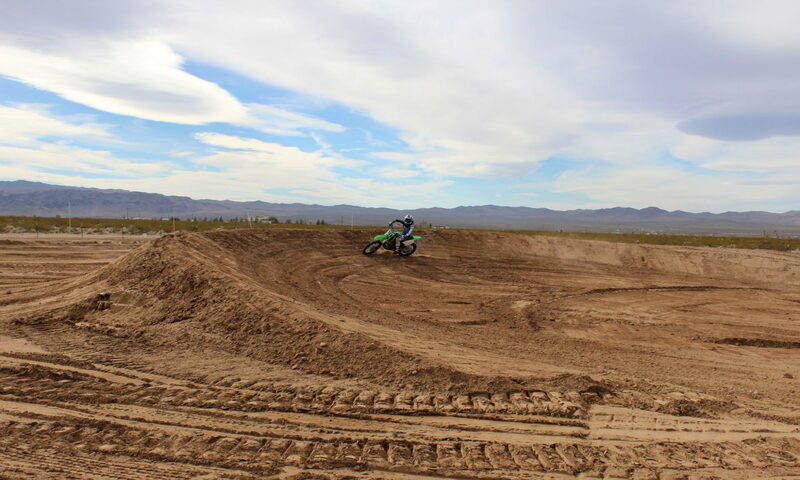 We have worked tirelessly on building our tracks the right way…..safe, fun and exciting for all ages and skill level riders. Our dirt has been dug deep and transformed into great dirt for traction. We are working towards being the biggest and best facility for everything motorsports.